On Friday August 21, 2010 at 7:00 p.m., Kim will serve as one of the judges for the finals of Talent Explosion 2010 at The Players Theatre. 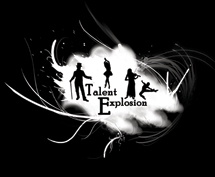 Talent Explosion is a competition featuring singing, dancing, acting and other performing arts. Participants can compete in Youth (Under 12), Teens (13-17) and Adults (18 and older) categories as well as individuals or groups. The entry deadline is July 10, 2010. Auditions will be held on August 7 and 14th.